Little Common player-manager Russell Eldridge says the football club has to be positive in its Buildbase FA Vase tie today (Saturday). The Commoners are gearing up for a second round qualifying trip to Newhaven, where they’ve been beaten 3-0 and 7-0 in the last four weeks. 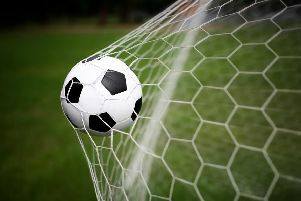 Common conceded three in the Southern Combination League Premier Division match between the clubs on August 21 before shipping seven in a Peter Bentley Challenge Cup second round clash at The Trafalgar Ground a fortnight later. “We will look at ways to learn from those two games,” continued Eldridge. “We know about them and what their strengths are, and we’ll come up with a plan which we’ll try and carry out to the best of our ability. “We probably will set up a little bit differently to try to counteract their strengths, but we’ve also got to consider ourselves and the way we play. It’s about trying to get that balance right. Common have lost their last three fixtures without scoring, but Eldridge says their last two performances have been ‘a bit more encouraging’. “It’s fine margins at both ends of the pitch,” added Eldridge. “We’re getting punished for our mistakes in the defensive third, and in the final third we’re not able to convert some of the chances we have or the decision-making hasn’t been quite good enough. “We’ve got a group of people who are used to winning games and this is a new situation where we’re not winning games. Adam Smith and James Maynard are expected to miss out through injury, but Ryan Paul is due back from holiday and Liam Ward should return after missing the midweek league defeat to Peacehaven & Telscombe through illness. Assuming there are no FA Vase replays, Common will travel to Steyning Town for a Sussex RUR Charity Cup first round game on Tuesday night - their sixth successive away match.